Welcome To Donns Boat Shop, Inc. Through hard work and dedication, we have fine tuned our company to provide you with the best possible service. This insures you with a vacation filled with fun, relaxation, and unforgettable memories! 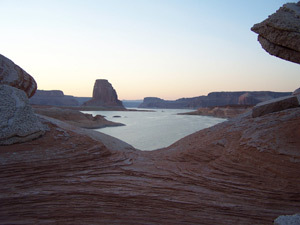 Donn first came to Lake Powell in 1975 and spent 6 years at Hall’s Crossing Marina. 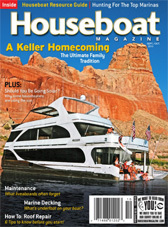 His grandsons are the fourth generation at Lake Powell. He has literally been in every canyon on Lake Powell many times! He lives your vacation. He also runs rivers such as West Water, Moab daily, Cataract Canyon, and the Grand Canyon on the Colorado. Also Desolation Grey (on the Green River) and the San Juan River. Donn is originally from San Diego and L.A. California. He spent time in the Reno/Tahoe area playing with circle, tunnel, and drag boat racing. His great granddad had an automotive shop in Van Nuys, California when there were still dirt roads. His granddad was an architect for Beverly Hills and his grandma made hand laid maps of San Diego. He spent time in Moab (running rivers) where his parents had a solar business, river running business, and a welding business. His wife’s family literally started the whole town! With the first grocery store, clothing store, hardware store, sporting goods store, egg ranch, and much more. There is a book out that is a must read! It is Last Of The Robbers Roost Outlaws. As you can see Donn not only knows how to work on your boat he has lived and is still living your experience at Lake Powell. He truly understands your needs and what it takes to have a great vacation. The entire crew at Donn’s Boat Shop is committed to providing you with the best possible service, state of the art equipment, and latest technology. We are constantly attending schools to keep up with the constant changing new technology to serve you better. Donn also has an engineering background, is a master technician, welder (aluminum, steel, & stainless), coast guard captain, river guide, and a solar installer.